Bitcoin online casinos operating on the SoftSwiss software platform will now start offering 3D slots released by BetSoft Gaming thanks to a partnership deal recently signed between the two providers. Owing to the ease-of-use and anonymity of bitcoins, the number of bitcoin online casinos is on the rise. Seeing the potential in bitcoins, BetSoft Gaming signed a partnership deal with SoftSwiss, according to the terms of which BetSoft’s 3D slots will be introduced into the portfolios of several bitcoin online casinos. Owing to this development, bitcoin online casinos operating on SoftSwiss software such as Bitcoin Penguin, Betchain, Princess Star, and Bitstars will now start introducing several exciting 3D slot games released by BetSoft Gaming. It means that customers of the above-mentioned sites will be able to access three-dimensional slot games such as Under the Bed, Mad Scientist, At the Copa, and A Night in Paris. These 3D slots enjoy a great deal of popularity because of the authentic movie experience they provide and the number of bonus features they offer. The bitcoin online casinos that operate on the SoftSwiss software platform can offer any number of online casino games, including slots, released by other developers. This means that their portfolios can include titles from Amatic and Microgaming as well. These casinos are not strictly bitcoin casinos as they accept deposits through other banking methods such as credit or debit cards and eWallets. SoftSwiss’ portfolio of products and services include website designing, anti fraud, and technical support. They have released a variety of online casino games such as Blackjack, Video Poker, Roulette, as well as unique slots such as Aztec Magic and Lucky Sweets. Their deal with BetSoft Gaming will now lead to the addition of BetSoft games at online casinos operating on SoftSwiss software, thus enhancing their entertainment value and making them more attractive to casino players. BetSoft Gaming, the provider that bears the credit of introducing three-dimensional cinematic graphics into online slot machine games, has released Mega Gems, another 3D slot. A 10-line online video slot with five reels, the slot revolves around the theme of gems, which are presented on the reels in all their three-dimensional glory. The game has an expanding wild that can expand all over the reel and multiply players’ wins. Players who get a wild reel will also get a free spin, which will help them win more coins. 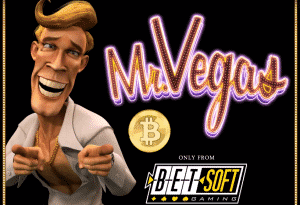 Mega Gems also comes with a progressive jackpot that can transform players’ lives and is now available at bitcoin casinos operating on the SoftSwiss as well as BetSoft platforms.